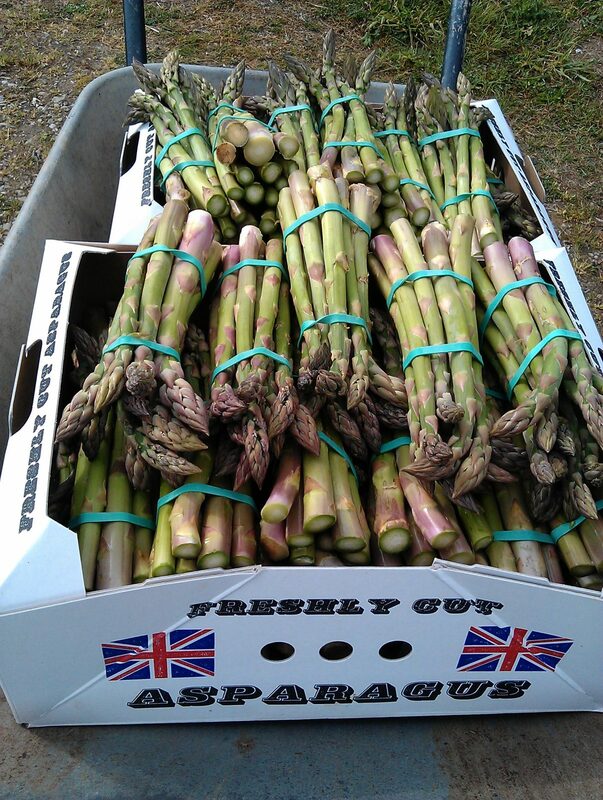 Another scrumptious dish to make with the Cornish asparagus from Lower Croan and the new potatoes from Restharrow Farm in our veg boxes this week. It’s from Hugh Fearnley Whittingstall in the Guardian. Heat the oven to 190C/375F/gas mark 5. Put the potatoes into a roasting dish with the garlic. Trickle over the oil, add plenty of salt and pepper, toss and roast for 30 minutes, until tender. Now create four little spaces among the veg for the eggs – you want to contain them as much as you can, so arrange the potato and asparagus pieces into reasonably snug bulwarks. Working quickly, so everything stays hot, break an egg into each space, then return the dish to the oven for about four minutes, until the whites are set and the yolks still runny. Sprinkle some salt and pepper over the eggs, scatter some snipped chives over the whole dish and serve straight away (the eggs will continue to cook). If you don’t have, or don’t fancy, chives, grated parmesan is another very nice finishing touch.